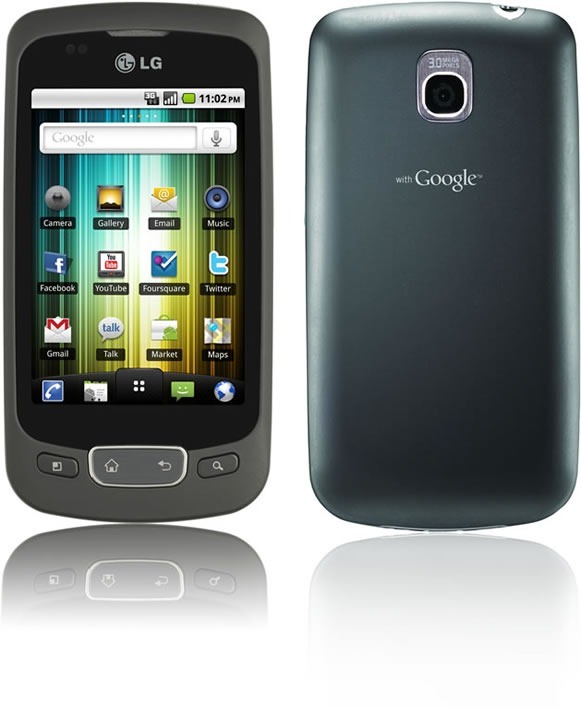 Do you have an LG Optimus S? Are you tired of running Froyo? Do you long for something newer, even if it's already outdated? Good news! 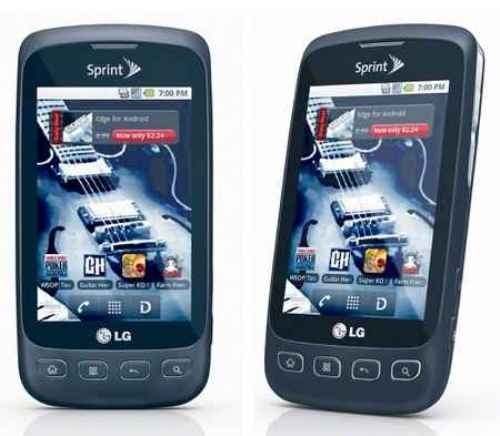 Sprint plans to re-push Gingerbread to the Optimus S starting just two days from now, on April 4th. This time, however, it should be free of awful bugs that broke things like predictive text, charging, and USB mass storage. The update will rollout in stages, with all users having received it within 21 days. 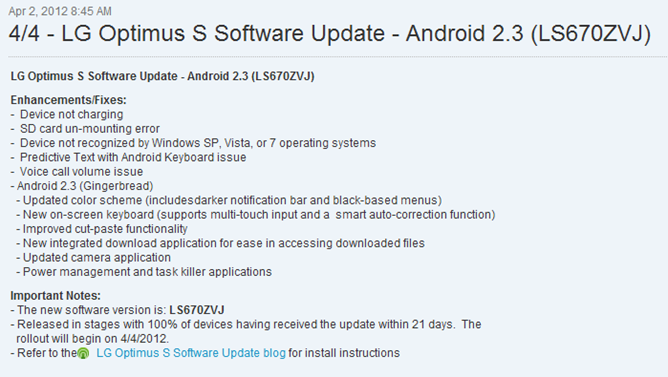 Looks like the just-released Samsung Epic 4G Touch is dealing with a few new-device hiccups. Both issues are relatively minor, but are noticeable (and annoying) nonetheless. For starters, the calendar app may (or may not) force close when multiple events are dismissed at the same time. Secondly, if you're using 4G hotspot and take a phone call, it will kill the 4G connection. Of course, you can easily just re-enable the service at the end of the phone conversation, so it's only a minor inconvenience. LG definitely struck a nerve In the Android community when they said that their LG Optimus One series would not be updated to Android 2.3 due to not meeting the hardware requirements, when it has already been stated that all phones running Froyo (such as the Optimus One) were capable of running Gingerbread. Well, LG have not only retracted that statement and offered an apology, they've delivered a great piece of news: every phone in the Optimus One line will get updated to Gingerbread! As with most other Android phones, the LG Optimus S didn't remain a rooting virgin for long - in fact, it was only a matter of how long it took Android Central forums member KSmithInNY to get the device out of the box. Before getting started, you'll need to download the Sun JRE (or should I call it Oracle now? ), the Android SDK, and drivers for the Optimus S (model LGP500, here's a detailed guide on installing those).